My Salutation to this temple of learning ~ Hats Off!!! What started as Thomson College of Engineering in 1847, now turned into IIT – Indian Institute of Technology in 2001 under IIT Act of Government of India… In mid years the IIT Roorkee was University of Roorkee since 1949 and celebrated its 150 years of establishment in 1996-97. The University of Roorkee carried the honor of First Technical University of India with great responsibilities, better education and excellence in research. During the days when there was only 5 IITs conducting JEE for graduate admission, the University of Roorkee was notable for Roorkee Entrance Examination for BE Degree courses. The IIT Roorkee conducts study programs in various study disciplines like humanities, sciences, technology, business education, engineering mathematics and computing etc at under graduate and post graduate level. 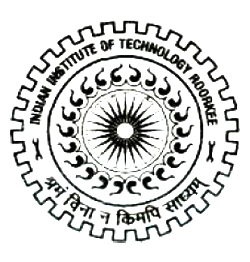 The IIT Roorkee has 3 campuses; main campus is based in Roorkee, near Hardwar; Uttarakhand; a distance campus at Saharanpur where offered Pulp & Paper Technology Program and another at Knowledge, Greater Noida, here various short term courses are offered besides other academic and research activities. The IIT Roorkee is has given autonomy by parliament of India to conduct study program, examination and award degrees and certificates. The full time courses offered by this Indian Institute of Technology are residential programs. The Director IIT Roorkee is the supreme authority the institute supported by Dy Directory, Deans, Registrar, Faculty Members and Staff people. The institute provides hostel facilities to students and residence houses to faculty and staff members. The IIT Roorkee is not merely a teaching institute; rather it’s another name of scientific culture in India proudly carrying 150 years of rich history with it. Though in the lines of IITs in India, IIT Kharagpur being privileged to be 1st IIT in India. To conduct study programs, research work, short term courses and projects and various other academic matters, the IITR is powered by many centers and departments. IIT Roorkee has following Departments. Each department is unique in its own sense and proudly engaged in human development. Year wise residential system has abolished in IIT Roorkee; now rooms are allotted in mixed groups. All year groups candidates lives together, learn together and cracks unsolved mysteries in peace and harmony together. Ragging is strictly NO in IIT Roorkee. How to Reach IIT Roorkee?